The Cactus Blossom Collective was started in the summer of 2016 by Jessi Konley of Paper Airplane Designs and Kristi Reed of Windy Peak Vintage. The space is a thoughtfully curated retail shop and a shared work space for artists / entrepreneurs in the small town of Livingston, Montana. 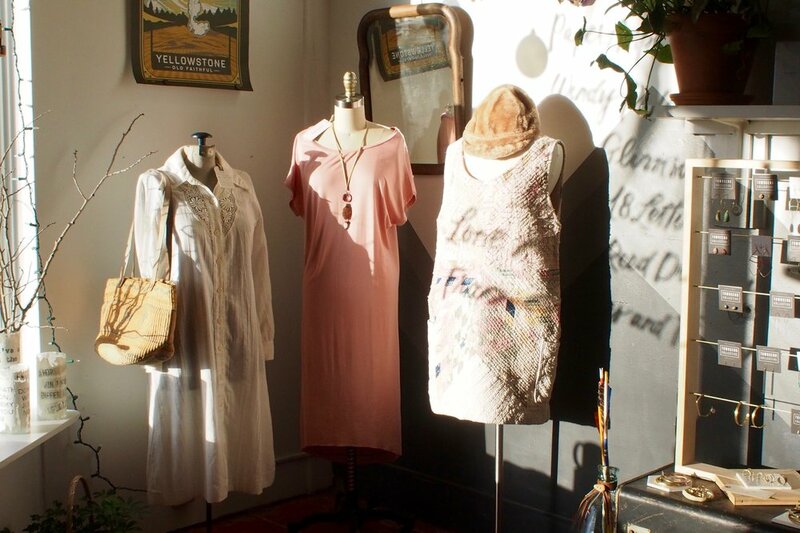 Our retail space is filled with a mix of handmade and vintage goods. Everything is ethically sourced with an emphasizes on small artists and makers in our community and throughout the United States. Our hours of operations are 10:00-5:30 Tuesday through Saturday. Thanks for joining us on this exciting adventure.